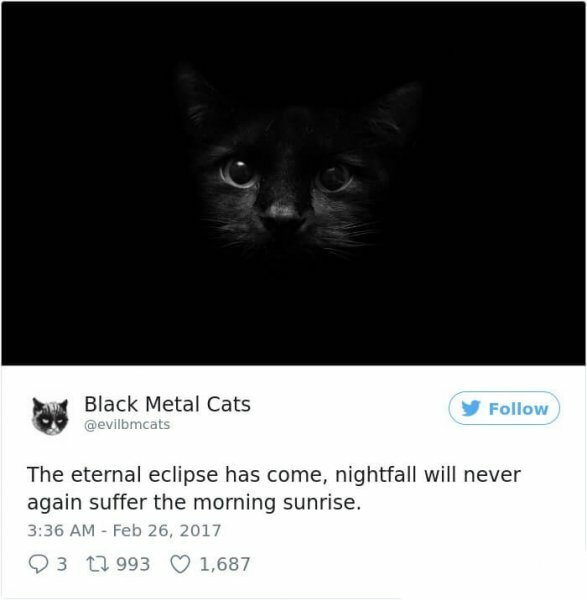 Black Metal Cats is a Twitter account that celebrates the inherent doom that our feline friends possess. 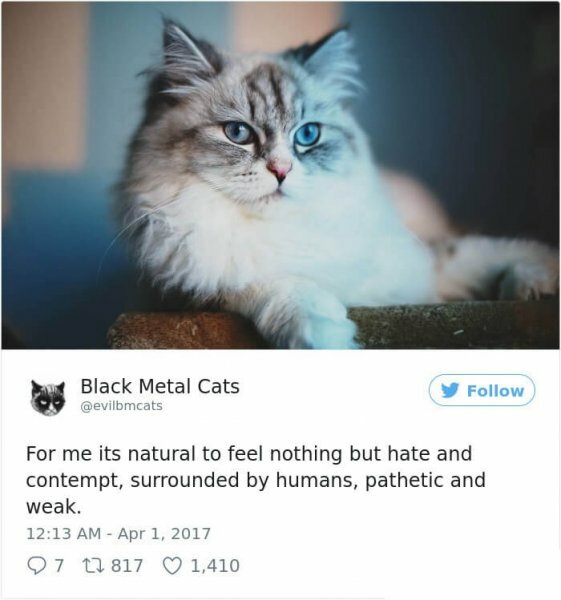 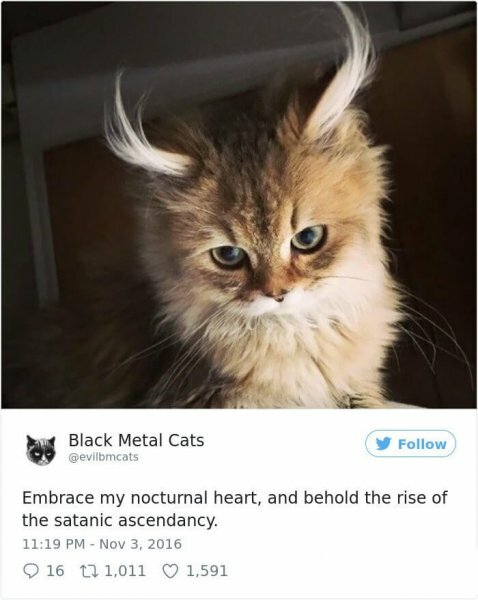 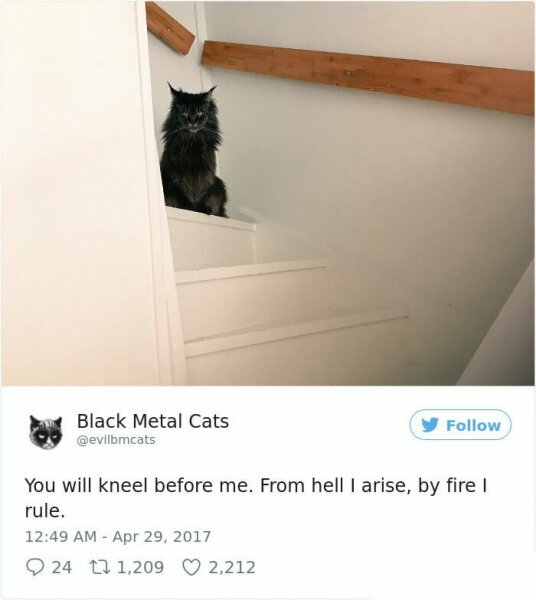 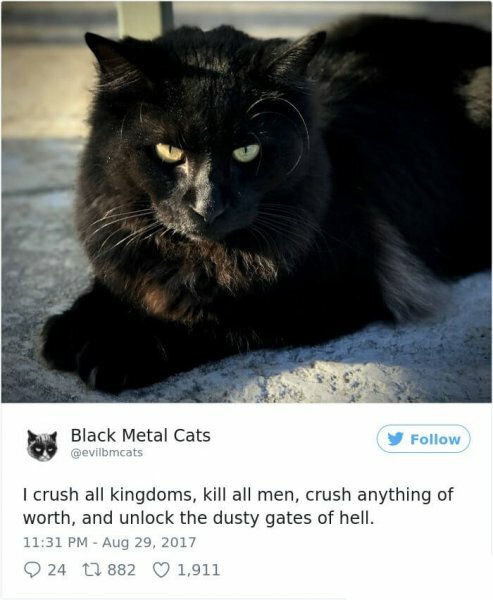 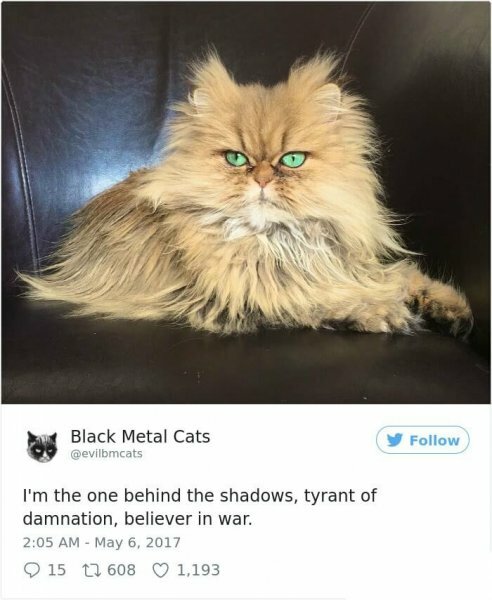 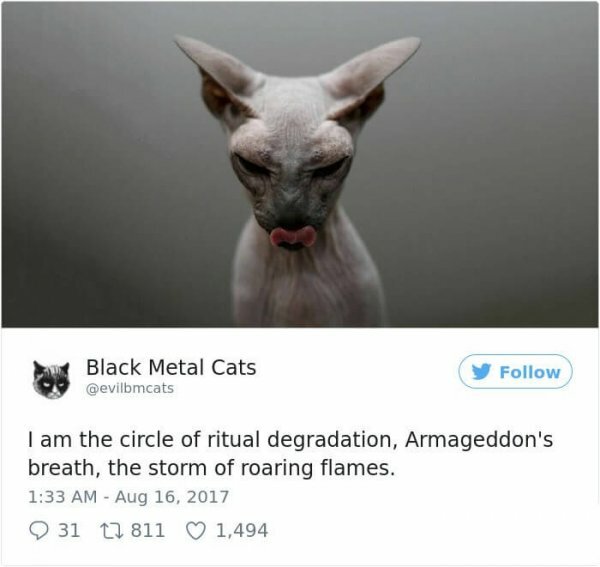 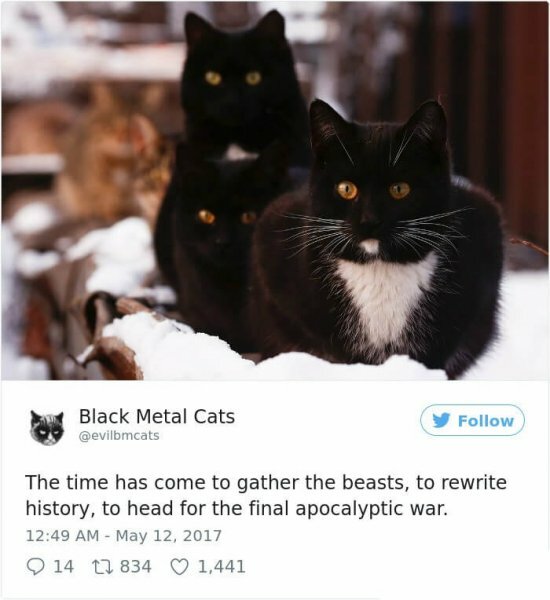 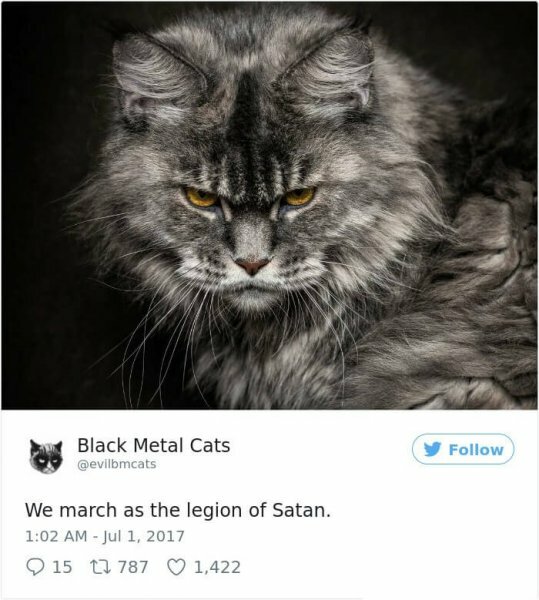 We’ve compiled our favorite tweets from the account, perfectly pairing dark, black metal lyrics with brooding pictures of cats that hilariously captured the mood. 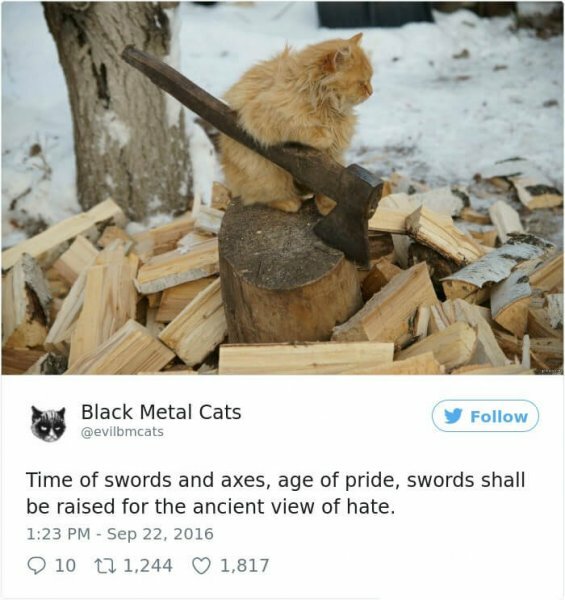 Best viewed with slow, heavy metal music playing in the background.